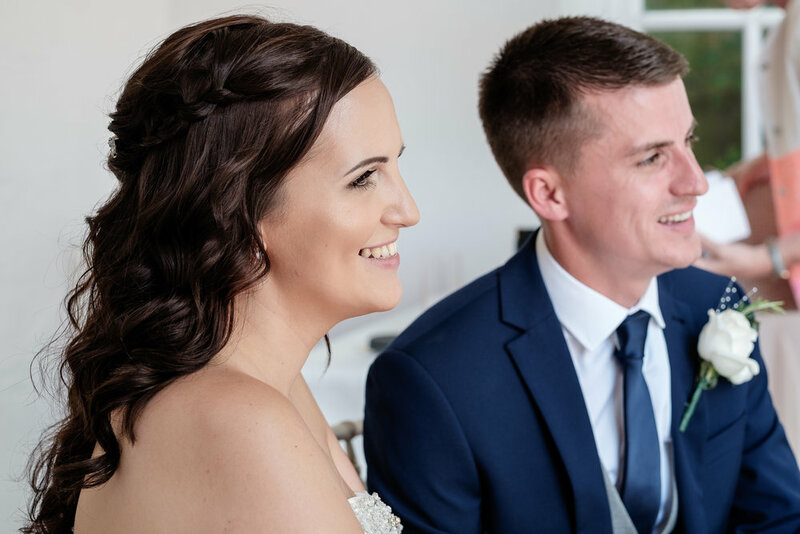 On the actual wedding day, I arrived at the stunning venue Micklefield Hall in Sarratt, Hertfordshire and was pleasantly surprised by the venue. It is safe to say Micklefield Hall has undergone serious investment to create the perfect setting for a wedding or event. 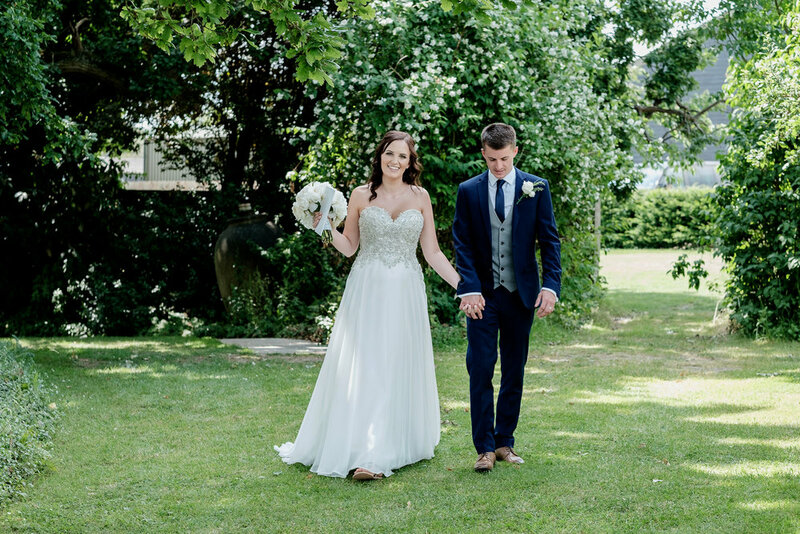 There are so many different features to the venue to include a tithe barn, a beautiful water feature, extensive gardens and grounds and a period Georgian house. I've not been to many venues who appreciate space for the bridal party. Often bridal parties are squeezed into a small hotel room. I find this type of atmosphere breeds the unnecessary stresses that a bride can do without on her wedding morning. Micklefield House has a separate annex dedicated to beauty, space and tranquillity. There are two rooms; one has a kitchenette with available crockery and needed caffeine supplies with a large table and chairs for breakfast nibbles. The other room has a large mirrored counter with space for both a makeup artist and a hairdresser. The light pours in through the roof windows allowing fantastic visibility for me to ensure a flawless makeup look. The rooms also has a bathroom, comfy chairs and bundles of space for the whole wedding party. I made up Anya and her family (please see the videos of the makeup finishes of the bridal party). Anya wanted a rose gold shimmer lid, dense fluffy lashes, flawless skin that had a dew and glow to it with light pink lips. To create this look, I used MAC pigments in Pearl and Naked and shaded in a warmer pink brown shadow from Anastasia Beverly Hills Modern Renaissance Palette into the socket, I also used eyelashes from Eylure. For the face, I blended a NARS illuminator with Makeup Forever Ultra HD Foundation. I used Charlotte Tilbury Kissing Lipstick in Valentine. During the making up I had the pleasure of meeting Abby from Abby Taylor Photography. Such a friendly and open photographer. It is so nice to work with people like Abby who happily clicked away, capturing treasured moments of the day. Abby was open to doing some shots of Anya and her family using my lights which was a fun moment for all three ladies to stop, hug, kiss and to reflect about the excitement of the coming day ahead....you can sense a strong bond between the mother, daughter, sister which makes being a wedding makeup artist truly wonderful as your allowed to witness and share these poignant private moments. Anya once finished with hair and makeup got into her ethereal organza wedding dress with a crystal embellished sweet heart bodice by Maggie Sotterro. The style design is called Olympia and was purchased from Brides-2-B in Watford. Anya looked breathtaking and she elegantly glided around the room speaking to family members and looking every inch the bride to be. My work was done and have kept in contact with my bride who has kindly shared her photographs from the day with me. Abby has taken some beautiful shots of the ceremonial area by the temple and water feature. 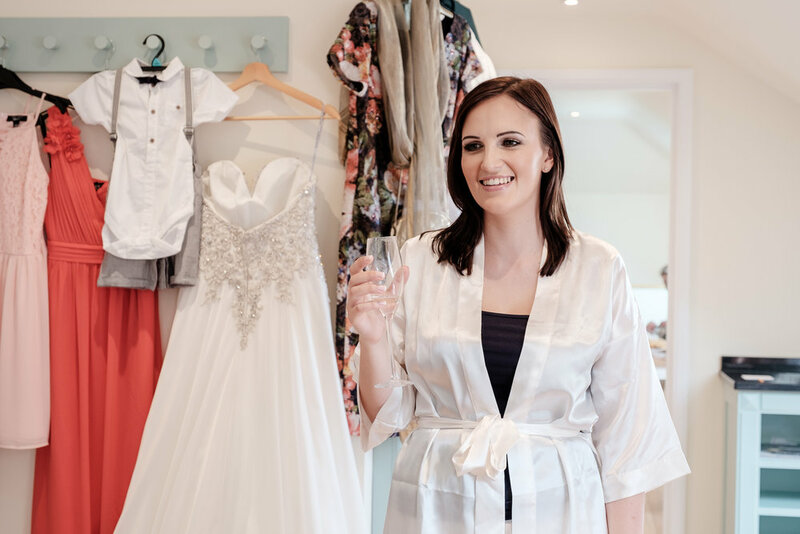 I especially loved the idea of using bubbles instead of confetti (kinder to the earth) The bubbles along with so many other elements to this wedding to include the venue, the dress, the setting all added to the fairy tale romance of Anya's wedding day.